Cedric Marks faces felony burglary charges after police said he broke into the home of Jenna Scott who later went missing in Jan. 2019. 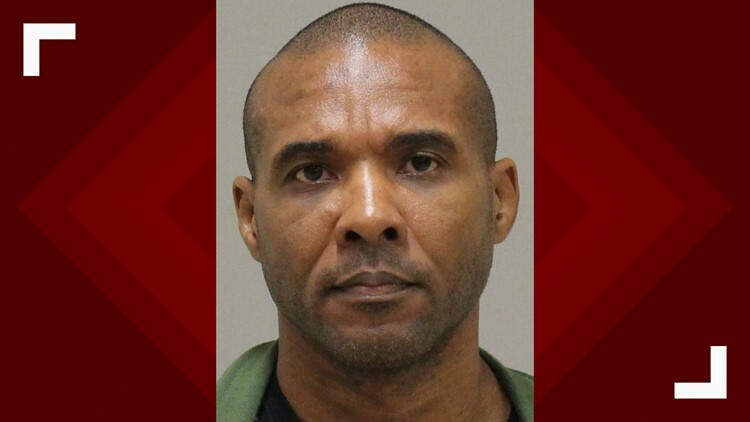 Several months prior to the disappearances of Jenna Scott and Michael Swearingin, Scott's ex-boyfriend, Cedric Marks, broke into her home and threatened her and her family, according to an arrest affidavit. TEMPLE, Texas — The Bell County District Attorney's Office said it will seek to extradite the ex-boyfriend of a Temple woman who was reported missing along with her long-time friend. Officials said Scott's ex-boyfriend Cedric Marks was arrested in Grand Rapids, Michigan, Jan. 8 without incident. He is currently in custody. Jenna Scott, 28, and Micheal Swearingin, 32, were reported missing after they were last seen around 3 a.m. on Jan. 4. Several months prior to Scott and Swearingin's disappearances, Marks, broke into her home and threatened her and her family, according to an arrest affidavit. Temple police were called on Aug. 24, 2018 around 9:51 a.m. to a home in the 7700 block of Redbrush after Jenna Scott, 28, went to the Temple Police Department to report that Marks broke into her home, arrest records said. Scott told police that she was lying in bed with her 9-year-old daughter when Marks broke into her home through the garage, according to the arrest record. According to the affidavit, Marks told Scott it’s “your word against mine” and that he has “friends at the Killeen Police Department." He also told Scott, “You know what I’m capable of. Your entire family and all of your friends will need witness protection if you call the police.” Marks told Scott that she needed to drop the charges against him, according to the affidavit. Scott provided surveillance to police that showed Marks walking toward her front door, then walking out of sight toward the garage at the time she said he broke in, arrests records said. Marks was arrested Tuesday in Michigan and may have to face the allegations against him in Bell County. "It is my intent to seek extradition of Mr. Marks from the state of Michigan and return him to Bell County. It is too early to know at this time when this will occur, but we are engaging in the necessary process to seek his return to Bell County," District Attorney Henry Garza said. Marks is charged with burglary of a habitation, which is a felony offense. Editor's note: KCEN Channel 6 did not initially identify Cedric Marks as he has not been named as a suspect in Jenna Scott or Micheal Swearingin’s disappearances. While Marks has not been named as a suspect, KCEN decided to name Marks because of an open criminal case directly connected to Scott. RELATED: Father of missing Temple woman speaks: "refrain from speculation"